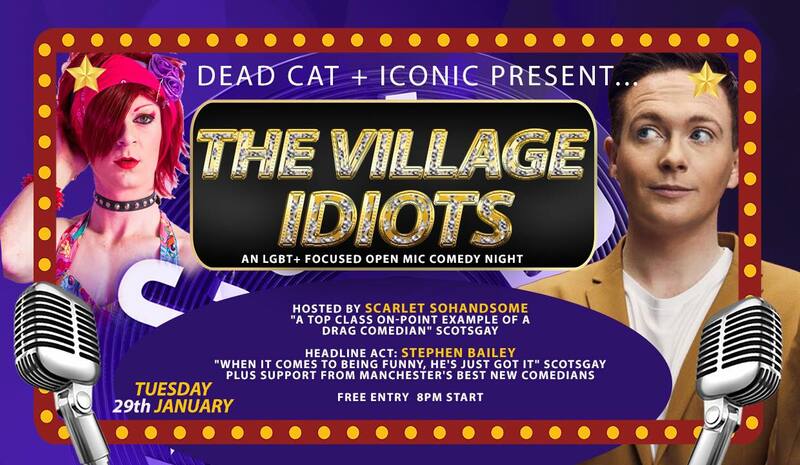 DEAD CAT + ICONIC present Manchester’s only LGBT+ Comedy Club. An evening of hilarious stand-up comedy from UK’s hottest queer comedians. Stephen Bailey is a comedian, presenter, television personality and writer, whose friendly and open brand of gossipy humour has made him one of the UK’s most exciting up-and-coming acts in comedy at the moment. As seen on Coronation Street (ITV), The Apprentice: You’re Fired (BBC Two), Roast Battle & Comedy Central at the Comedy Store (Comedy Central), Safeword, CelebAbility & The Great Xmas Rant (ITV2), Wardrobe Secrets (ITVBe), Celebrity Advice Bureau (W) and It’s Not Me, It’s You (Channel 5).